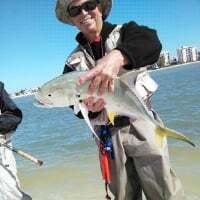 Thus far all of my saltwater fishing has been beach and inshore wading in the Ft. Myers beach area using light spinning tackle, jigs, lures, etc. and I've enjoyed it immensely. We decided to give the east coast a try and visited Deerfield Beach. I immediately found out that fishing is not allowed on the beach during the day. We liked the area and were there only a few days but not having convenient fishing available was a negative on the checklist. Are there convenient areas to fish on foot in that area or are there better areas on the east coast for fishing which offer the conveniences we found within walking distance in the Deerfield Beach area? We are "shopping" for areas to spend our winters and perhaps move in the future. Hey there buddy. I love wade fishing on the west coast. Tampa and Meyers are some awesome fisheries. I’m not too familiar with Deerfield area for fishing. I’m up in Jupiter. I exclusively wade the IRL about an hour and a half north of Deerfield. Or beach fishing off Jupiter and Hobe Sound can be productive depending on the time of year. But the IRL is a lot more productive and offers a more variety of fish than Deerfield. Totally worth the drive. There is some great peacock bass fishing around Deerfield though! I’ve caught some monster peacocks. Sorry if this didn’t answer your question. Inbox if you have any questions. Hi -Capt Johnson- where do you fish in the IRL. I’m up in Stuart and have heard so much but haven’t ever tried. I used to live in Deerfield Beach. 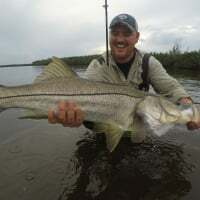 Try the Camino Real bridge in Boca Raton, great snook fishing there. Beach fishing is allowed north of the oier or south at a place called trespass. Lol. PM me.for more info. Great little town though. Thank you so much. I knew there were areas but our time was so limited. Much appreciated. In retrospect I found out that I was given some false information. I was told by a lifeguard that there was no fishing at all allowed on the beach in that area. From doing some talking and exploring I found out that fishing is allowed north of the Deerfield Beach pier and south of the Boca Raton Inlet. There are people regularly on the jetty at the Boca Raton Inlet however in several days of walking up and down that stretch of beach I never saw one single Fishman on the beach fishing at all. I am not certain if that is because the fishing is not good there or just a coincidence that no fishermen were giving it a try.